Look What's Happening in December! 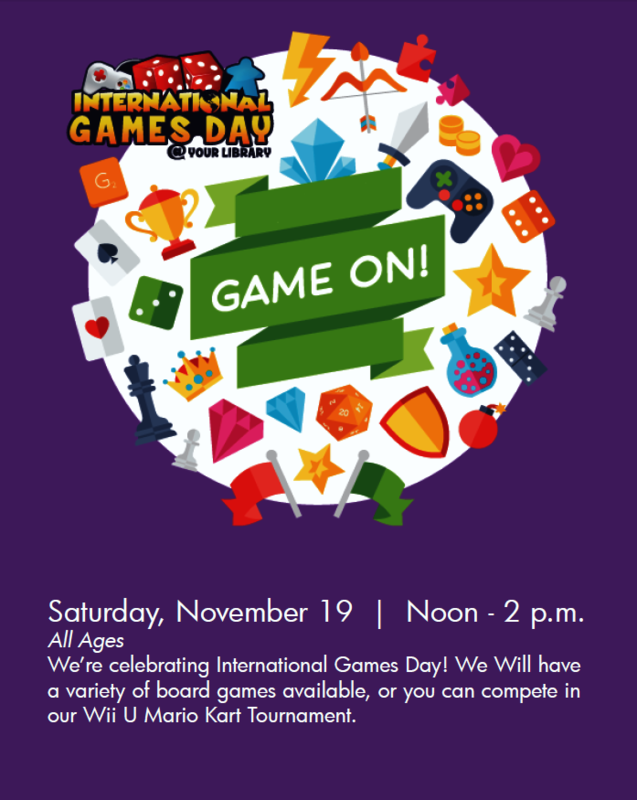 We're celebrating International Games Day @ Wauconda Area Library. Tweens and teens, if you love board games, this event is for you! The library will close early at 5 p.m. Wednesday, Nov. 23, and remain closed all day for the Thanksgiving holiday, Nov. 24. 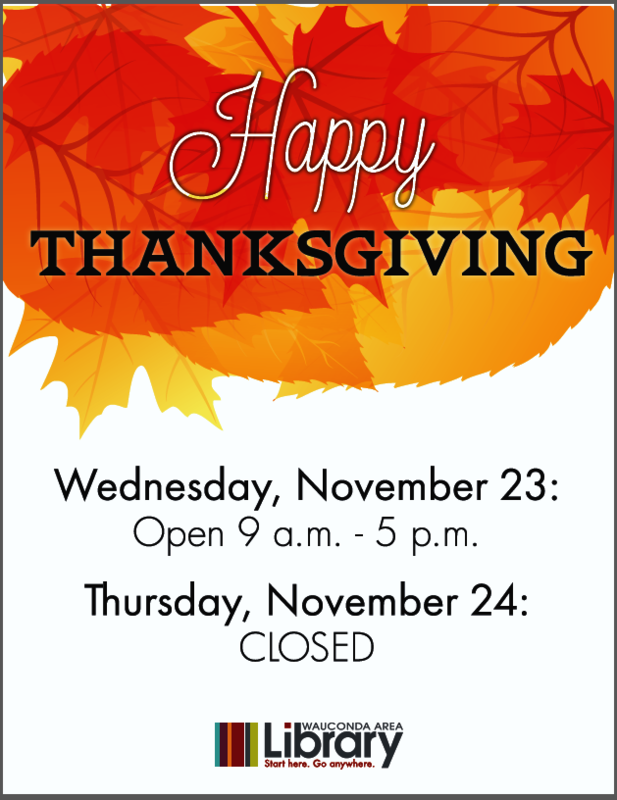 Normal operating hours will resume Friday, Nov. 25. Remember, when the library is closed, our digital collection is always open 24/7. Visit our website to download eBooks, eMagazines, movies, music and audio books free using your library card. Wauconda Area Library Digital Collection. Saturday, Dec. 3 | 9 a.m. - 4 p.m.
Sunday, Dec. 4 | 2 p.m.
Saturday, Dec. 10 | 9 a.m. to 3 p.m.
Monday, Dec. 12 |7 p.m.
Wednesday, Dec. 14 | 7 p.m.
Friday, Dec. 16 | 1 to 4 p.m.
Wednesday, Dec. 14 | 6:30 p.m.
Saturday, Dec. 17 | 1 to 3 p.m.
Thursday, Dec. 29 | 1 p.m.
To see all upcoming events at the library, visit our website !